Having an Aimpoint mounted on your AR is pretty much what everybody dreams of. What most people don’t like is the price to pay for such a top-quality sight. Luckily there are a few alternatives or Aimpoint clones to consider. Aimpoints are sturdy and reliable red-dots that are used by many military and law enforcement agencies worldwide. And that for a good reason. When your life depends on it, then you need to have a rock-solid sight like an Aimpoint. However, if you’re looking for a solid sight to use on the range or for occasional shooting then using an Aimpoint might be overkill. What does that leave you with? With a lot of alternatives when it comes to red-dots and a meager number of choices when it comes to exact Aimpoint clones. The best known and most popular alternative to an Aimpoint is a Primary Arms sight. If you’re looking for something that is not an exact clone but a good choice then check out our comparison of the Vortex Strikefire 2 vs. the Aimpoint Pro and ACO! What we’re looking for here is a clone of the Aimpoint T-1. And if you have a look at the Primary Arms MD-RB-AD which is a micro red dot sight. Setting both sights next to each other you have to look twice to see any differences. This is indeed a clone of the T-1 by looks alone. How good is it when you compare the build and features? Can an affordable red dot sight hold up with a rather expensive, yet superbly robust sight like the T-1? What if we compare it to the T-2? Can a cheap red dot keep up? One thing up front, as with pretty everything in life you get what you pay for. And that is indeed also true when we look at Aimpoint T1/T2 clones and accurately match them up with the Primary Arms MD-RB-AD. All of these sights look alike and also offer quite outstanding features. They all come with a 2 MOA microdot that makes aiming easy. The T-1 initially went with a 4 MOA dot when it was introduced in 2007 but has since gotten an upgrade to have a crisp 2 MOA dot. Battery life on all of these three sights is impressive at roughly 50,000 hours for each battery. That’s many years between battery changes. A tip so you’ll never run out of battery is to make February 29th the day that you change batteries. Every four years like clockwork and without forgetting or wondering whether you should change the power source or not! The Primary Arms is also quite a solid red dot sight that comes at a much lower price. It offers on paper very similar features when you compare it to the T-1 or even the T-2. And it’s not only a good sight on paper. It is a magnificent sight that can compare to either of the Aimpoint’s. The optical clarity in our opinion is slightly less than on the Aimpoint sights. It’s not bad at all but just a tad worse. It’s not as solidly built. Is it solid enough? For most situations and uses, it indeed is. For professional use and if your life depends on it then consider the Aimpoint. If you’re shooting a few rounds (even hundreds of rounds) on the range, then the Primary Arms sight is perfectly fine. The same is true when you need to use your sight in extreme environmental conditions. Your body will most likely stop to function from heat or cold before your Aimpoint stops. The Primary Arms is built for reasonable environmental conditions that you’ll experience on a range or when hunting. Again, if you’re not planning on a trip to Antarctica (or maybe Alaska) or the Sahara, then the MD-RB-AD should be sufficient to use. All sights hold zero when mounted on an AR without a problem. Even after several hundred rounds, there’s no problem with either of them assuming they had been installed correctly in the first place. The Aimpoint sights come with 12 different brightness settings. You have eight settings for daylight and 4 for NVA use. The Primary Arms offers 11 brightness levels with two of them being night vision compatible. The dot on the Aimpoint seems a tiny bit more crisp, specifically on the T-2. The PA dot is a little less sharp, but it’s nitpicking here. Overall image clarity is excellent for all of these sights. The Aimpoint has a little better image in less than perfect light conditions like at dusk or dawn. Otherwise, you’ll get great visibility with either of them. The lenses on all of them are multicoated to reduce glare and reflection. 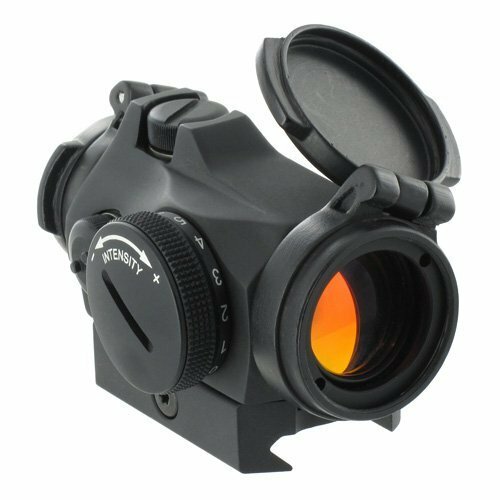 The front lens of the Aimpoint clone is slightly angled downwards to eliminate any glare. The dials on the Aimpoint sights are more precise. They feel more exact and allow to make better and more precise adjustments. 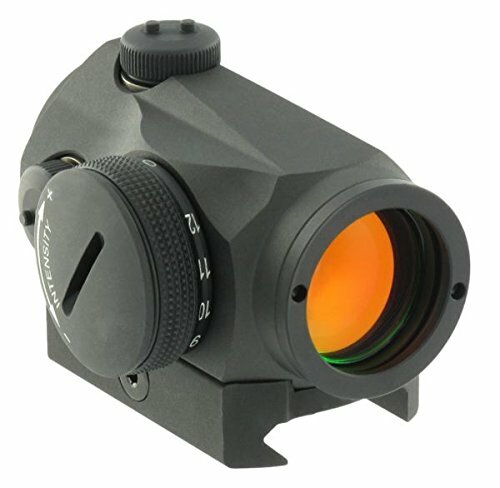 If you require to use the sight in a variety of environments including sand, dust, water, etc. then you can rest assured that the Aimpoint will work. A cheaper clone like the Primary Arms will eventually give out. Again, most people will not experience environments like that when they use their AR on a range! The Primary Arms sight is water resistant and can be submerged down to 3 feet. Both the Aimpoint T-1 and T-2 are built so they can go 80 feet underwater without damage! A lot of people will make price their obvious choice on whether to go for an original Aimpoint or a clone from Primary Arms. This is something you should think about twice. If you buy an Aimpoint and want to sell it at any point in time, you probably will not lose a lot of money. Their reputation keeps prices high even for used sights. That might not be the case for a Primary Arms sight. While they are cheaper to begin with, you might lose more value if you try to sell the sight at a later point in time. This might or might not be of importance to you, but it is something to keep in mind when deciding which of these sights to purchase. 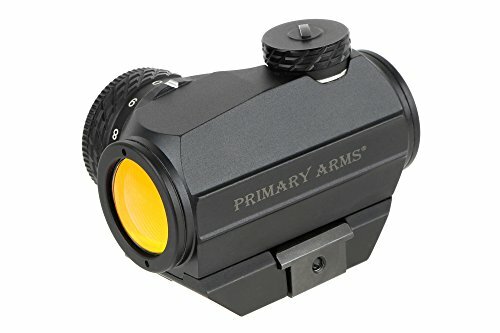 The Primary Arms sight is a great red dot optic for your AR. There’s no doubt about that. While it does look like an Aimpoint, it is not quite there. It’s an excellent choice for nearly everyone, but we would pick the Aimpoint at any time if we use the sight in our professional lives. Thinking of the resale option, the Aimpoint sights look like a rather substantial investment as they won’t come down in price much when used. So, in short, if you can afford one or if you professionally use the sight then, by all means, go for the Aimpoint. Otherwise, pick the Primary Arms, and you’ll end up with an excellent sight that won’t let you down.